Signia Siemens Has REPLACED the Nitro Micon with the Motion Primax SP. CLICK HERE TO SEE THE MOTION PRIMAX SP. Siemens Nitro hearing aids gives you the superior sound experience you expect Siemens and all with a remarkably low battery consumption. In addition, all Nitro models offer wireless connectivity, helping you to focus on your life and not your hearing aids. 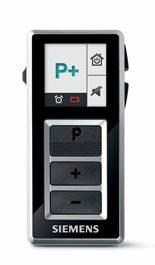 Siemens Nitro Micon is the most powerful BTE hearing aid for those with severe to profound hearing loss, it is also available in CIC to ITE custom sizes. Includes all of the latest Micon technology and features, except for rechargeability. IP 67 rated, it protects from perspiration, dust and moisture. Perfect for those with severe to profound hearing loss. You don't have to give up your connection with family, co-workers, television or cell-phones just because you are using a Super Power instrument. The Nitro is available in a BTE and three custom models; the CIC, ITC and ITE. A 71dB receiver is available in all custom sizes, giving you the power of a BTE in the smallest instrument and holds a number 10 battery. The BTE model of the Nitro has 82 dB of gain and holds a 675 battery. Nitro BTE's can be inconspicously controlled by using either a remote control or the Tek or miniTek Bluetooth Audio Streamers. Warranty - Manufacturer's 3 year warranty with 7 Micon and 2 year with 3 Micon. Includes loss and damage coverage. miniTek is A complete wireless solution. It is an automatic streamer and an intuitive remote control. It syncs all your audio devices simultaneously. miniTek wirelessly connects audio devices—phones, TVs, and MP3 players and smartphone apps like Pandora Radio, Google Maps, driving instructions and FaceTime video calls—to your hearing aids. miniTek won the Best of Bluetooth Next and Fan Favorite awards at the 2012 Consumer Electronics Show (CES) and along with the miniTek Remote app was an Innovations Design and Engineering Awards Honoree at the 2014 CES. 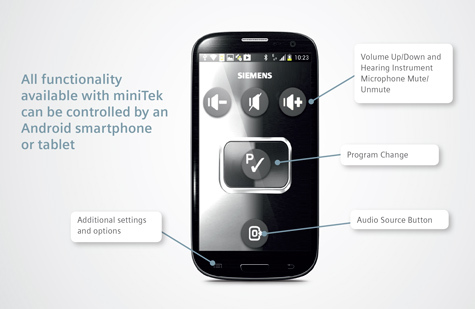 The miniTek Remote App transforms an Android smartphone into a convenient, discreet control for your miniTek. This app’s interface looks just like the miniTek—making it extremely easy to use. It’s practical and discreet. It looks like you may be texting while you are making a hearing aid adjustment or a command to connect to an audio source, like a TV or other audio device. 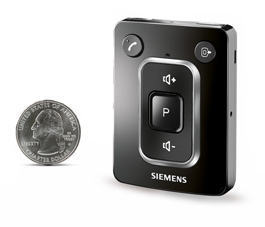 Siemens easyPocket sleek, simple remote control places all your hearing aids’ options at your fingertips. Large, convenient buttons and an easy-to-read display make accessing the features of your hearing aids easier than ever before.